The film sheds a spiritual light on the seemingly dark path to inevitable oblivion. Shubhashish Bhutiani presents such a vivid sense of love, regrets, understanding and leaving things behind that, without much ado, you shed your soulless being and instantly lighten up. The film doesn’t just provide you with salvation, it gives your life and possible death a new meaning. A meaning that should be left to the understanding of the conscience and nothing more than that. “Mukti Bhawan” is an instant classic that will remain in my mind till I find myself in my own weary days. Satirizing the traditions and beliefs where the old are set against the new, “White Sun” observes the dilemma of well-rounded characters and their baggage with each other through death and change. It also observes the guilt, transformations, and freedom that something as stark as war can bring into some people’s life. With a light touch and absurd comic situations, Rauniyar’s film slowly and assuredly becomes an important piece of cinema which gives us an opportunity to look into the world we live in or should know about. What’s really interesting about most Sang-Soo films is their meta nature of documenting and fixing what he possibly couldn’t fix in his own life. Which not only enhances the personal touch of the narrative but also make it a universally connective tissue for anyone who has gone through the ups and downs and the beginnings and ends of a relationship. With “On The Beach At Night Alone,” Sang-Soo makes us go through the most terrible heartbreak and leaves us with the feeling of being lost and found at the same time. Norwegian filmmaker Joachim Trier’s “Thelma” blends supernatural elements with human conflicts, existential dilemmas and the horrors of growing up. Tattered up with enchanting imagery and a great understanding of the dead bird inside every person who was forced to undergo normalcy, the film is a tale of female sexual awakening & constant repression due to religious ethics. A chamber piece of biblical proportion, Darren Aronofsky’s maddeningly daring “mother!” is an allegory for the life of a creator and his grappling journey of creating, destroying and recreating while a search for loveable perfection takes a rundown towards the cults looking for their own interpretations. 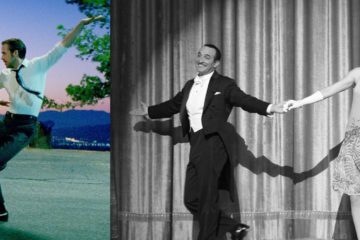 A heart-throbbing, pulsating and truly horrific comedy of errors, mother! is creative independence put into a barrel that is made by the same stuff that nightmares are made of! “Loveless” wanders helplessly in the hearts and consciousness of the characters in search of a sense of belonging and love. Andrey Zvyagintsev seeds the heart-wrenching drama in the modern day society plagued with impatient & pseudo love that is entirely consumed by selfish motives. Just like Leviathan that takes a closer look at the socio-political crack paving the path for eternal human suffering, Loveless delves into the shallow & superficial human consciousness where “love” exists only in Instagram posts. 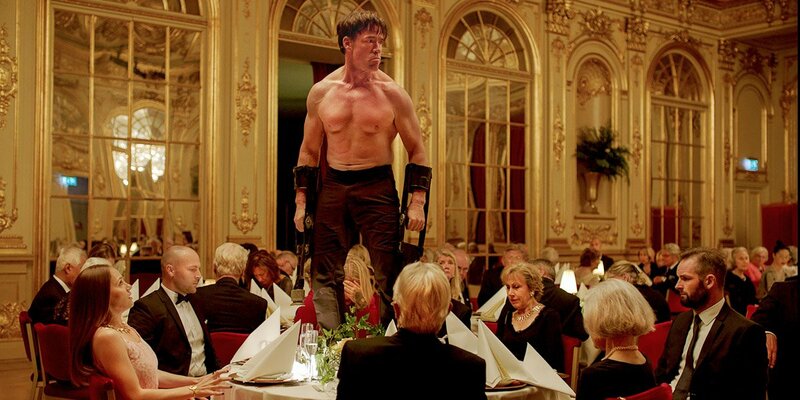 Weird for the sake of being weird, calm for the sake of being calm and absolutely stunning and batshit crazy for the sake of being stunning and batshit crazy, Ruben Östlund’s “The Square” is peculiarly well timed as it truly understands the state of an audience in the present times. Since the modern world is losing its time span to completely divulge in the cinematic medium, Östlund provides and feeds the onlookers with pieces of puzzling calamities – each of which is detailed to an extent of absolute clarity if noticed carefully. David Lowery’s “A Ghost Story” is the single most unique film of 2017. An enchanting, endearing and heartbreaking film that provides an unforgettable sensory experience down a memory that we will probably never visit if this film didn’t exist. It’s about life, death, loss, tragedy, afterlife and all that can be stuffed in between it all. It’s a film that tells us that nothing matters but we still search for something wandering through every place that allows visitors. 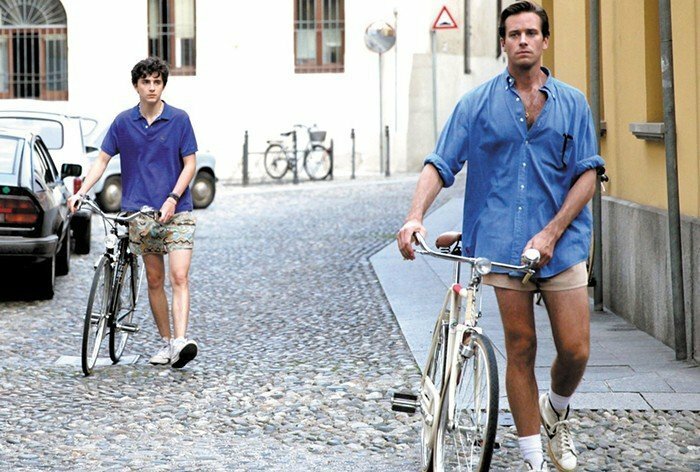 Wildly hailed as a ‘Queer Masterpiece’, Comfort, elegance and a beautiful sense of sadness seep through every frame of Luca Guadagnino’s “Call Me By Your Name.” Which only makes us wish to stay with these sensually romanticized set of men, even longer. It is the type of romance that makes you want to believe in romance and a love story that carries that essential blessing out of every love story – self-growth. A film that dares you to desire the things that actually matter. A true achievement. This is not ‘chic’ Anderson, nor is just a display of elegant dresses and acute perfections. It’s a dreamy, fairytale-esque, fever dream that trends so close to being absolutely ordinary that you just might fall into its poisonous edges. This is not a traditional romance because none of the characters are traditionally simple. Woodcock is married to his work or as he puts it – to his dresses. Cyril is the one who is the boss and is in no shape or size seems to be interested in Reynolds’s moaning about not being able to concentrate on his work. And Alma – the seemingly straightforward waitress who is probably PTA’s most subversive, strong and fascinating female character till date. Coming to the film itself, PTA’s “Phantom Thread” strips down the idiosyncrasies of any person who claims to be absolutely strong – a possible concrete wall of workaholism and plays with the importance of love and the idea of settling down before exhausting oneself. A charming, beguiling and majestic ghost tale about love in the time of stubbornness.